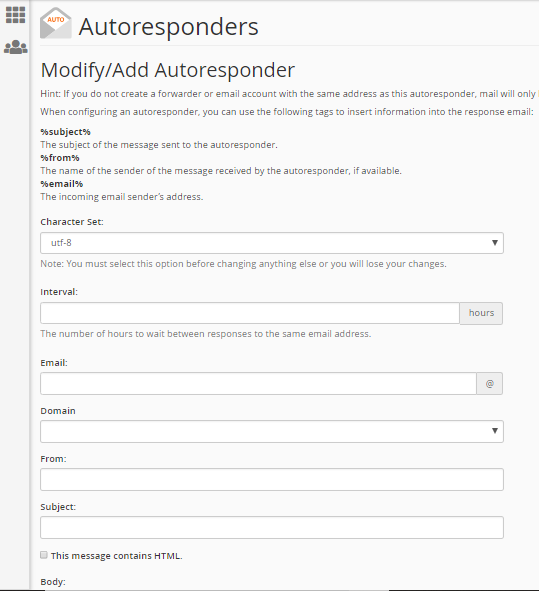 Autoresponders enable you to send automated emails which can be useful if you are away from the office or need to send generic messages. 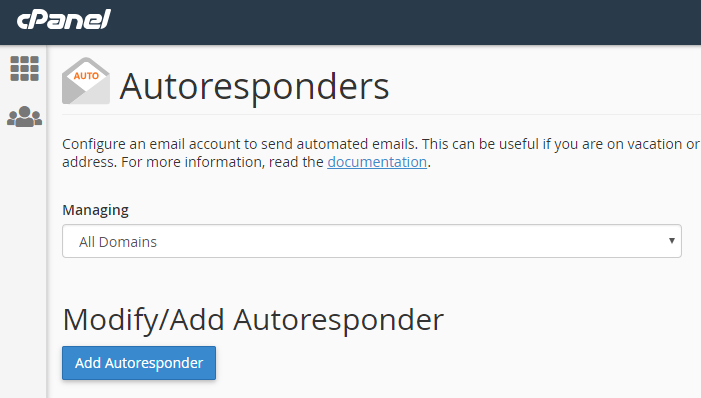 To set up an autoresponder, follow these instructions. 4. On the page that opens, fill in the details required. These include the email address and domain you want the autoresponder to be sent from as well as its subject line and content. 5. For the Character Set option, leave as default unless you have a specific reason to choose another option from the dropdown menu. 6. You can also configure the autoresponder to include the name, subject and email address of the sender in your automated reply. This can be done by putting %from%, %subject% and %email% in the email body. 7. Before finishing, add the start and end dates and times that you want to use the autoresponder to send your automated email. 8. When finished, click on the Create/Modify button at the bottom of the page.